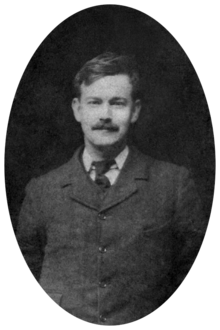 Richard Henry Tawney (30 November 1880 – 16 January 1962) was an English writer, economist, historian, social critic and university professor and a leading advocate of Christian Socialism. Democracy is unstable as a political system as long as it remains a political system and nothing more, instead of being, as it should be, not only a form of government but a type of society, and a manner of life which is in harmony with that type. To make it a type of society requires an advance along two lines. It involves, in the first place, the resolute elimination of all forms of special privilege which favour some groups and depress other, whether their source be differences of environment, of education, or of pecuniary income. It involves, in the second place, the conversion of economic power, now often an irresponsible tyrant, into a servant of society, working within clearly defined limits and accountable for its actions to a public authority. In England it is not ungentlemanly to steal halfpennies from children, and industrial interests, it may be assumed, will oppose any reform which interferes with the supply of cheap juvenile labour. In place... of "elementary" education for nine-tenths of the children and "secondary" education for the exceptionally fortunate or the exceptionally able, we need to envisage education as two stages in a single course which will embrace the whole development of childhood and adolescence up to sixteen, and obliterate the vulgar irrelevances of class inequality and economic pressure in a new educational synthesis. The number both of pupils and school places in 1922 is... all too small. But, inadequate as they are, they represent something like an educational revolution compared with the almost complete absence of public provision which existed prior to 1902. The full comedy of the situation was revealed in 1900, when, nearly a century after France and Germany had laid the foundations of a public system of secondary education, the Court of Appeal virtually decided that there was no Public Authority in England with legal power to establish and maintain secondary schools. England has not yet imitated the example set by America and by most of the British Dominions in making public secondary education free. Even before 1918 we had traveled far from the doctrine of 1870, that "elementary" education was the education of a special class which would obtain no other — what the Committee of Council called in 1839 education "suited to the condition of workmen and servants" — and secondary education that of their masters. The primary school is like the rope which the Indian juggler throws into the air to end in vacancy; that while in the United States some twenty-eight per cent, of the children entering the primary schools pass to high schools, in England the percentage passing from elementary to secondary schools is less than ten. Apart from the children of the well-to-do, who receive secondary education almost as a matter of course, and whose parents appear usually, though quite mistakenly, to believe that they pay the whole cost of it, secondary education is still commonly regarded as a "privilege" to be conceded only to the exceptionally brilliant or fortunate. It is still possible for the largest education authority in the country to propose to erect inequality of educational opportunity into a principle of public policy by solemnly suggesting, with much parade of philosophical arguments, that the interests of the community require that the children of well-to-do parents, who pay fees, should be admitted to public secondary schools on easier intellectual terms than the children of poor parents who can enter them only with free places, and that the children who are so contemptible as to be unable to afford secondary education without assistance in the form of maintenance allowances shall not be admitted unless they reach a higher intellectual standard still! They would very strongly advise that in selecting children for higher education care should be taken to avoid creating, as was done, for example, in India, a large class of persons whose education is unsuitable for the employment they eventually enter. Defined by its purpose, its [education's] main aim is not to impart the specialized technique of any particular trade or profession, but to develop the faculties which, because they are the attribute of man, are not peculiar to any particular class or profession of men, and to build up the interests which, while they may become the basis of specialization at a later stage, have a value extending beyond their utility for any particular vocation, because they are the condition of a rational and responsible life in society. Its desire is that what is weak in the higher education of the country should be strengthened, and that what is already excellent should be made accessible to all. Labour can claim with some confidence that it is both voicing the demands of nearly all enlightened educationalists and working for the only organization of education which will enable the community to make the best use of the most precious of its natural resources — the endowments of its children. The organization of education on lines of class, which, though qualified in the last twenty years, has characterized the English system of public education since its very inception, has been at once a symptom, an effect, and a cause of the control of the lives of the mass of men and women by a privileged minority. The very assumption on which it is based, that all that the child of the workers needs is "elementary education" — as though the mass of the people, like anthropoid apes, had fewer convolutions in their brains than the rich — is in itself a piece of insolence. Those who have hitherto governed the nation, believing, and believing with justice, that ignorance and docility go hand in hand, have taken care to ration the education of the workers in doses small enough to be innocuous to the established order. Practically, the Church was an immense vested interest, implicated to the hilt in the economic fabric, especially on the side of agriculture and land tenure. Itself the greatest of landowners, it could no more quarrel with the feudal structure than the Ecclesiastical Commission, the largest of mineral owners today, can lead a crusade against royalties. In every human soul there is a socialist and an individualist, an authoritarian and a fanatic for liberty, as in each there is a Catholic and a Protestant. The same is true of the mass movements in which men marshal themselves for common action. There was in Puritanism an element which was conservative and traditionalist, and an element which was revolutionary; a collectivism which grasped at an iron discipline, and an individualism which spurned the savorless mess of human ordinances; a sober prudence which would garner the fruits of this world, and a divine recklessness which would make all things new. Too often, contemning the external order as unspiritual, [the Puritan] has made it, and ultimately himself, less spiritual by reason of his contempt. Convinced that character is all and circumstances nothing, [the Puritan] sees in the poverty of those who fall by the way, not a misfortune to be pitied and relieved, but a moral failing to be condemned, and in riches, not an object of suspicion … but the blessing which rewards the triumph of energy and will. To countless generations of religious thinkers, the fundamental maxim of Christian social ethics had seemed to be expressed in the words of St. Paul to Timothy: "Having food and raiment, let us be therewith content. For the love of money is the root of all evil." Now, while, as always, the world battered at the gate, a new standard was raised within the citadel by its own defenders. The garrison had discovered that the invading host of economic appetites was, not an enemy, but an ally. Not sufficiency to the needs of daily life, but limitless increase and expansion, became the goal of the Christian's efforts. The shrewd, calculating commercialism which tries all human relations by pecuniary standards, the acquisitiveness which cannot rest while there are competitors to be conquered or profits to be won, the love of social power and hunger for economic gain—these irrepressible appetites had evoked from time immemorial the warnings and denunciations of saints and sages. Plunged in the cleansing waters of later Puritanism, the qualities which less enlightened ages had denounced as social vices emerged as economic virtues. They emerged as moral virtues as well. For the world exists not to be enjoyed, but to be conquered. Only its conqueror deserves the name of Christian. For such a philosophy, the question, "What shall it profit a man?" carries no sting. In winning the world, he wins the salvation of his own soul as well. It is probable that democracy owes more to Nonconformity than to any other single movement. The foundation of democracy is the sense of spiritual independence which nerves the individual to stand alone against the powers of this world. Mankind may wring her secrets from nature, and use their knowledge to destroy themselves. Freedom for the pike is death for the minnow. This page was last edited on 21 January 2019, at 21:03.